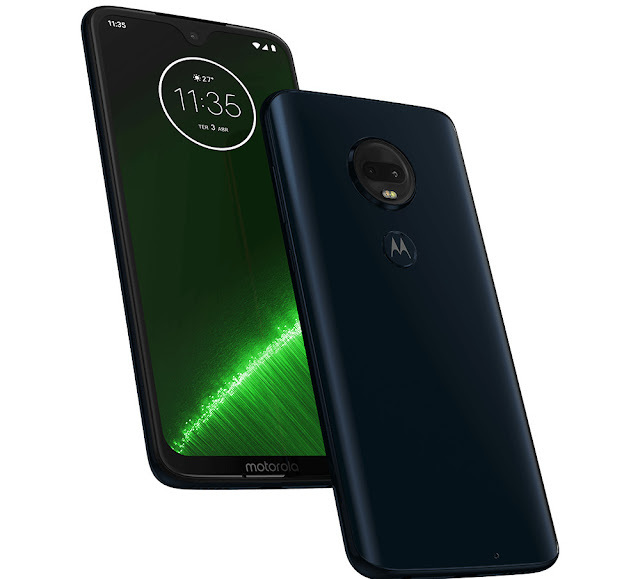 Motorola on Thursday unveiled the new Moto G7-series of smartphones at an event in Brazil. Carrying features like all-day battery life and improved camera performance, the Moto G7 lineup includes Moto G7, Moto G7 Plus, Moto G7 Play, and Moto G7 Power smartphones. 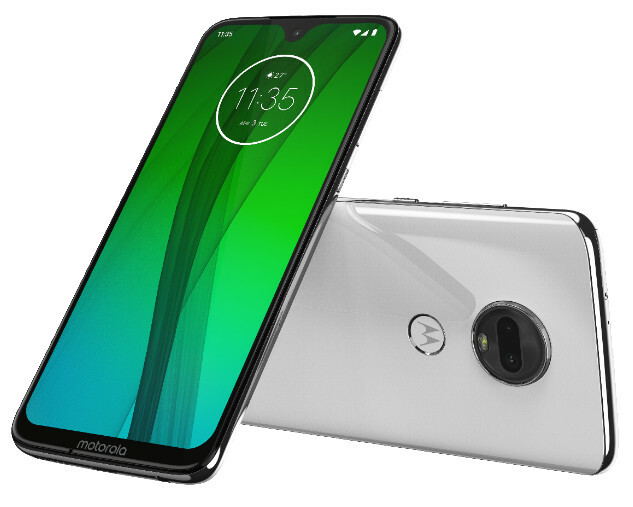 According to Motorola, the new phones will go on sale beginning today with Brazil and Mexico being the first markets to get the phones, followed by countries including India, North America, Latin America, and Europe. According to Motorola, the Moto G7 carries a price-tag of $299 (roughly Rs. 21,300), whereas Moto G7 Plus has been priced at EUR 299.99 (roughly Rs. 24,500). The Moto G7 Power will retail at $249 (roughly Rs. 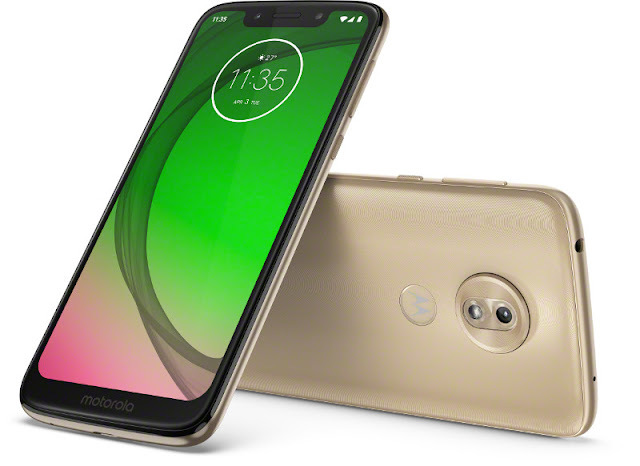 17,800) and Moto G7 Play at $199 (roughly Rs. 14,200). All four phones are first going on sale in Brazil and Mexico starting today and will roll out globally beginning mid-February. Motorola has not shared India-specific release schedule for any of the Moto G7 phones, except the Moto G7 Power, which is coming to the country in next few weeks. Moto G7 Plus features 6.2-inch (2270 x 1080 pixels) Full HD+ 19.5:9 aspect display with Corning Gorilla Glass 3 protection powered by 1.8GHz Octa-Core Snapdragon 636 14nm Mobile Platform with Adreno 509 GPU and 4GB RAM. It has 64GB internal storage which is expandable via microSD up to 512GB. It sports 16MP rear camera with Dual LED flash, f/1.75 aperture, 1.22um pixel size, OIS secondary 5MP camera with f/2.2 aperture and 12MP front-facing camera with f/2.0 aperture, 1.25um pixel size. It runs on Android 9.0 (Pie) and has 3,000mAh battery with 27W Turbo charging. 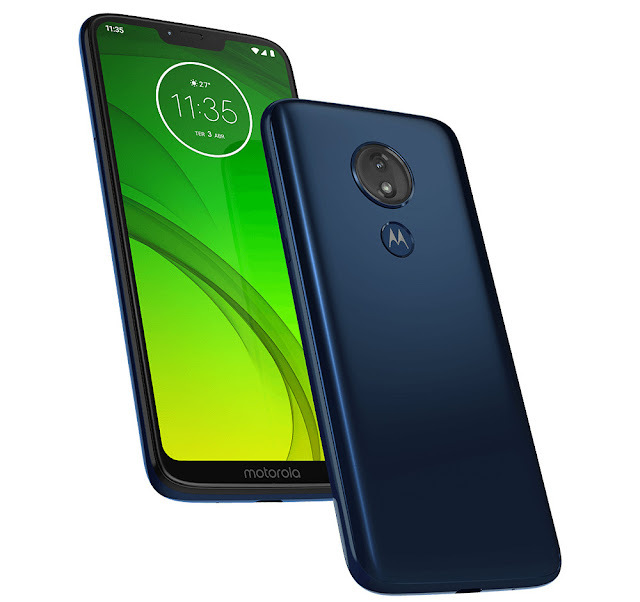 Moto G7 features 6.24-inch (2270 x 1080 pixels) Full HD+ 19.5:9 aspect display with Corning Gorilla Glass 3 protection powered by 1.8GHz Octa-Core Snapdragon 632 14nm Mobile Platform with Adreno 506 GPU and 4GB RAM. It has 64GB internal storage which is expandable via microSD up to 512GB. It sports 12MP rear camera with Dual LED flash, f/1.8 aperture, secondary 5MP camera with f/2.2 aperture and 8MP front-facing camera with f/2.2 aperture. It runs on Android 9.0 (Pie) and has 3000mAh battery with 15W Turbo charging. Moto G7 Power features 6.2-inch (1570×720 pixels) HD+ 19:9 2.5D curved glass display with Corning Gorilla Glass 3 protection powered by 1.8GHz Octa-Core Snapdragon 632 14nm Mobile Platform with Adreno 506 GPU and 3GB RAM. It has 32GB internal storage which is expandable via microSD up to 512GB. It sports 12MP rear camera with LED flash, f/2.0 aperture, 1.25um pixel size and 8MP front-facing camera with f/2.2 aperture, 1.12um pixel size. It runs on Android 9.0 (Pie) and has 5000mAh (Typical) battery with 15W Turbo charging. Moto G7 Play features 5.7-inch (1512×720 pixels) HD+ 19:9 2.5D curved glass display with Corning Gorilla Glass 3 protection powered by 1.8GHz Octa-Core Snapdragon 632 14nm Mobile Platform with Adreno 506 GPU and 2GB RAM. It has 32GB internal storage which is expandable via microSD up to 512GB. It sports 13MP rear camera with LED flash, f/2.0 aperture, 1.12um pixel size, PDAF and 8MP front-facing camera with f/2.2 aperture, LED flash. It runs on Android 9.0 (Pie) and has 3000mAh (Typical) / 2,820mAh (minimum) battery with 10W rapid charging.